'"Chief Red Cloud"' by Paul Marcus - DPC Prints! 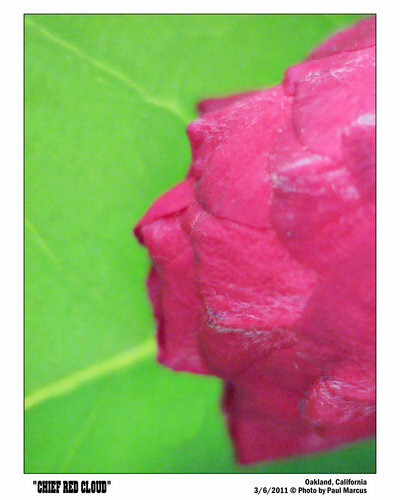 Close-up of camellia bud and leaf seemed to me to closely resemble the classic profile of a Native American in Plains regalia. This photograph originally appeared in the Two Colors Challenge.